What it is: Participants in the John Hancock Vitality program who were given Apple Watches for $25 showed greater physical activity compared to users without one. There’s an old saying that what gets measured gets improved upon. In other words, if you track a certain activity, you know exactly where you stand at any given time so you know what you need to do to reach your goals. In the dieting world, tracking your calorie intake insures you don’t consume more calories than you should. Without measuring your activity, it’s too easy to lose track of your goals. The RAND Corporation tracked 400,000 people across the US, Europe and South Africa and found that incentives including subsidized Apple Watches significantly improved people’s activity. In the research conducted for financial and life insurance firm John Hancock, participants with a watch on average increased their number of active days by 31 percent on the company’s Vitality program. In other words, people tracking their physical activity tend to do it more often than people who do not track their physical activity. The Apple Watch and other wearable computers simply makes it easy for anyone to measure their physical activity daily. When you can see you’re not reaching your physical activity goals, you’ll have the incentive to increase your activity to meet those goals. The Apple Watch’s primary purpose is real-time health monitoring. Anyone interested in maintaining their health is a candidate for the Apple Watch, which is practically everyone. As more insurance companies learn the advantages of the Apple Watch, it will be to their benefit to subsidize the cost of Apple Watches to increase the health of their customers. The healthier people remain, the less likely they’ll need health insurance, which simply makes the insurance companies more money by not paying out massive benefits. The insurance companies are giving away Apple Watches out of the goodness of their heart but because it’s a sound business decision that actually benefits everyone (not just the insurance company). By staying healthy with an Apple Watch, people can live longer, more enjoyable lives. By not needing health insurance, insurance companies can keep more of the premiums for themselves. The Apple Watch is going to be far more important than the iPhone in the near future because not everyone needs or wants an iPhone, but everyone will need or want to stay healthy. Of course, with more people using the Apple Watch, more people will have an incentive to use other Apple products like the iPhone or Macintosh. Wearable computers like the Apple Watch are the future of Apple. Just like the iPod gradually faded in importance over time, so will the iPhone gradually fade in importance compared to the Apple Watch. When Apple releases smart glasses, that’s when the real revolution in wearable computers will take off. To read more about how the Apple Watch improves physical activity, click here. What it is: United Healthcare is offering the series 3 Apple Watch for free. Insurance companies are in business to make money so if they can minimize payments, they’ll make more money. That’s why health insurance companies like United Healthcare are looking at wearable devices such as the Apple Watch to help reduce costs. The idea is that United Healthcare will give you an Apple Watch series 3 absolutely free. The only catch is that you must meet regular physical activity goals. The program’s walking goals are centered around frequency (walking 500 steps within seven minutes six times per day, at least an hour apart), intensity (3,000 steps within 30 minutes) and tenacity (10,000 total steps each day). If participants meet these daily goals, they can own the watch in six months. United Healthcare is betting that people excited to get a free Apple Watch will be more motivated to stay active and healthy. The more healthy people United Healthcare has, the less likely they’ll fall sick and need payment from the insurance company. So companies like United Healthcare aren’t offering the Apple Watch solely out of the goodness of their heart but because it’s a pragmatic business decision. Patients benefit because they stay healthy and get a free Apple Watch. The insurance company benefits because they pay less out and keep more of the premiums for themselves, so everybody wins. 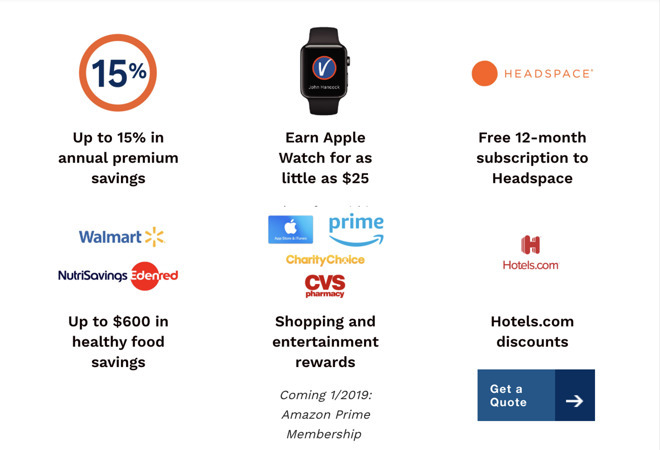 Expect more health insurance companies to start offering similar programs, giving away free wearable devices in return for meeting specific exercise and activity goals. If you can get a free Apple Watch just by improving your health, why wouldn’t you sign up with United Healthcare instead of another company that does not offer a similar program? The main purpose of wearable computers like the Apple Watch is real-time health monitoring so anything that can improve your health will simply benefit everyone. If you want to stay healthy, using the Apple Watch (whether for free or not) will simply improve the quality of your life, and that’s something no amount of money can replace. To read more about the Apple Watch helping keep insurance patients healthy, click here. What it is: John Hancock is offering lower life insurance premiums for people who use a wearable computer to track their health. Insurance companies are in the business of making money and to do that, they need more people to pay in than they pay out. To avoid paying out claims in life insurance, John Hancock is turning to an “interactive life insurance” policy. That means if people exercise and track their health using a wearable computer like an Apple Watch, their life insurance premiums will be lower. The goal is to keep people healthy as long as possible so John Hancock won’t have to pay out life insurance benefits. Yet that shows how the Apple Watch and other wearable computers are proving valuable as real-time health monitors. To encourage people to use a wearable computer, John Hancock offers it as at a discount. The company’s goal is purely monetary, but the benefits means Apple Watch and other wearable computer users can stay healthy and enjoy life longer as a result. For anyone still confused about the purpose of the Apple Watch, think real-time health monitoring. If you’re concerned about staying healthy and alive, then you need an Apple Watch. For those critics who don’t care about staying healthy or alive, feel free to ignore the benefits of wearable computers and take yourself out of the gene pool prematurely. The wearable computer market is the next hot market after the mobile market of smartphones and tablets. At Apple’s last event on September 12, the company introduced new iPhones but the Apple Watch stole the show. Eventually, more wearable computers such as smart glasses will steal the show too, and the iPhone will just become another commodity like the Macintosh. The future shifted from traditional PCs to mobile computing, then to wearable computers. The Apple Watch is just the start of wearable computing with smart glasses promising to become the next big product. Hopefully if you use the Apple Watch, you can improve your chances of being alive long enough to see and use Apple’s next wearable computer in the next few years. To read more about how John Hancock is using the Apple Watch as an incentive to lower insurance costs, click here. What it is: The latest Apple Watch offers electrocardiogram, which is new for a consumer product. When the Apple Watch first appeared, people wondered why they would need one. After all, an iPhone worked just fine and the Apple Watch offered a much smaller screen. While the iPhone and iPad App Store had taken off in popularity, the App Store for the Apple Watch remains more or less stagnant. Most people don’t use an Apple Watch for anything but brief glances, so constant interactivity is fairly useless on an Apple Watch. Yet the biggest strength of the Apple Watch is its ability to monitor health symptoms in real-time passively. Once you strap an Apple Watch on, it keeps recording your health data, which is why adding an electrocardiogram is a huge feature. 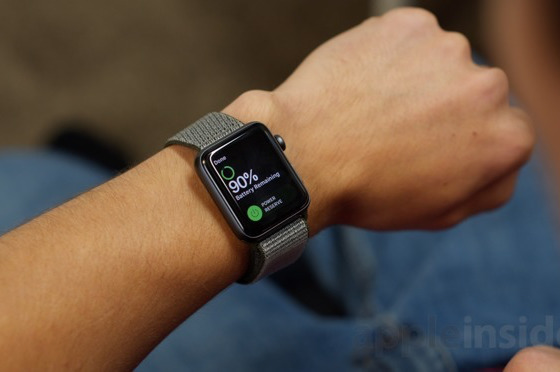 Users can put their finger on the digital crown as the Apple Watch passes a current across the chest to track electrical signals in the heart, directly, which is far more accurate than interpreting based on pulse. The process takes about 30 seconds and the user will receive a heart rhythm classification. 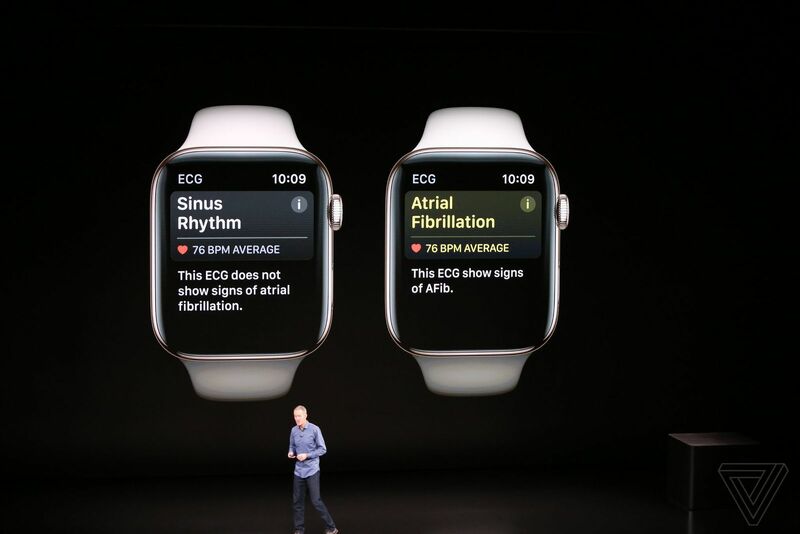 Normal rhythms will be classified as “sinus” rhythm, and the Watch will also classify irregular rhythms, such as atrial fibrillation. While this may not be as accurate as a dedicated machine, this feature in the Apple Watch can detect possible heart irregularities early. The early a problem is detected, the sooner the person can get medical attention, thereby saving lives. Previous versions of the Apple Watch have already saved numerous lives and now this latest feature can potentially save many more. While young people have traditionally been the market for new technology, the Apple Watch is unique in that is targets older people. The newest Apple Watch can detect when a person falls and then contact emergency services automatically if the person doesn’t get up. This will likely cause many young people to buy one for their elderly parents. Now the real trick is getting these elderly people to wear the Apple Watch regularly. The Apple Watch is mostly a self-contained unit, unlike the iPhone and iPad. The Apple Watch App Store will likely remain small compared to the iPhone and iPad App Store, but that’s because the products target two different uses. The iPhone and iPad is great for interaction on the go. The Apple Watch is far better for brief glances and constant health monitoring, which neither the iPhone or iPad can do easily. As long as Apple continues pursuing health benefits with the Apple Watch, the Apple Watch has the potential to become a huge product that could dwarf the iPhone. Not everyone needs an iPhone, but everyone is concerned about their health, especially the elderly. Since the world is aging in many countries, the Apple Watch will continue growing as well. The future isn’t just mobile, but wearable computers, and the leader in wearables will be the Apple Watch. To read more about the Apple Watch’s latest features, click here. 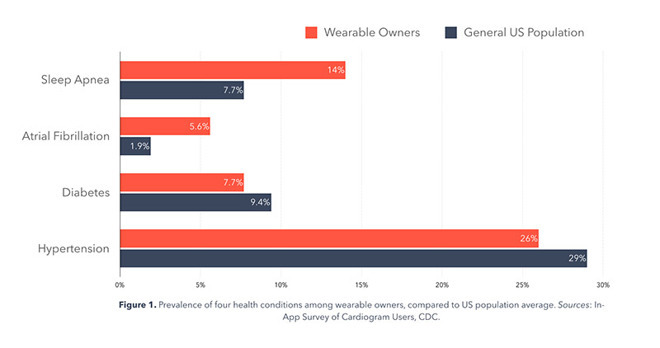 What it is: Users track chronic health issues with wearable computers. When Apple first released the Apple Watch, many people couldn’t see a need for one. Over time, Apple Watch users have found the best uses for their device and that involves real-time health tracking. Because a wearable computer can monitor a user’s health without the user’s constant interaction, the Apple Watch can easily monitor health symptoms and store this data for analysis. Using data collected by the popular health app Cardiogram, researchers noticed that a vast majority of real-time health tracking isn’t just for improving health such as athletes might need, but for managing and tracking chronic health conditions. In other words, if you currently have a serious health condition, a wearable like the Apple Watch can help you monitor your condition so it doesn’t suddenly get worse. For anyone still confused as to the purpose of the Apple Watch, they just need to protect their health. That’s a simple explanation for why someone might want an Apple Watch that anyone can understand. You might not need an Apple Watch to make phone calls (but it can be handy to have a phone strapped to your wrist, especially for the elderly who may fall down). You might not need an Apple Watch to play games, but you might want an Apple Watch to help you monitor your current health conditions so they don’t get worse. Protecting your health and monitoring it in real-time is the main use for the Apple Watch. If you’re not interested in your health, then you probably don’t need anything else either from medicine and diagnosis machines to wearable computers like the Apple Watch. If you’re like most people who do care about your health, the Apple Watch can literally be a life saver. To read more about the Apple Watch monitoring chronic health conditions, click here.